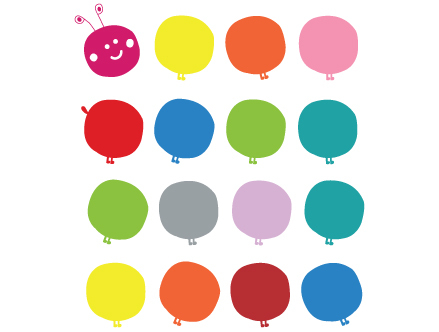 Dress up the wall of your childrens rooms with this multi-coloured Caterpillar. 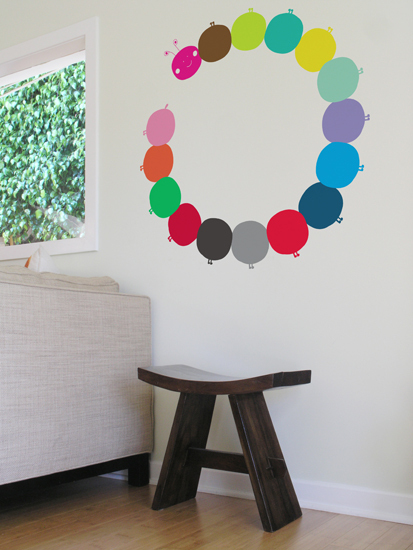 In a circle, a straight line or zig-zaging all over the walls, you decide where it goes! The Caterpillar pack presented here, contains a total of 16 multi-coloured wall stickers depicting the caterpillar's body, head and little feet. * Includes: Head, tail & 14 body parts with feet! * Head and Tail colours vary. Choose your version !